This week we introduced the children to a hacksaw. 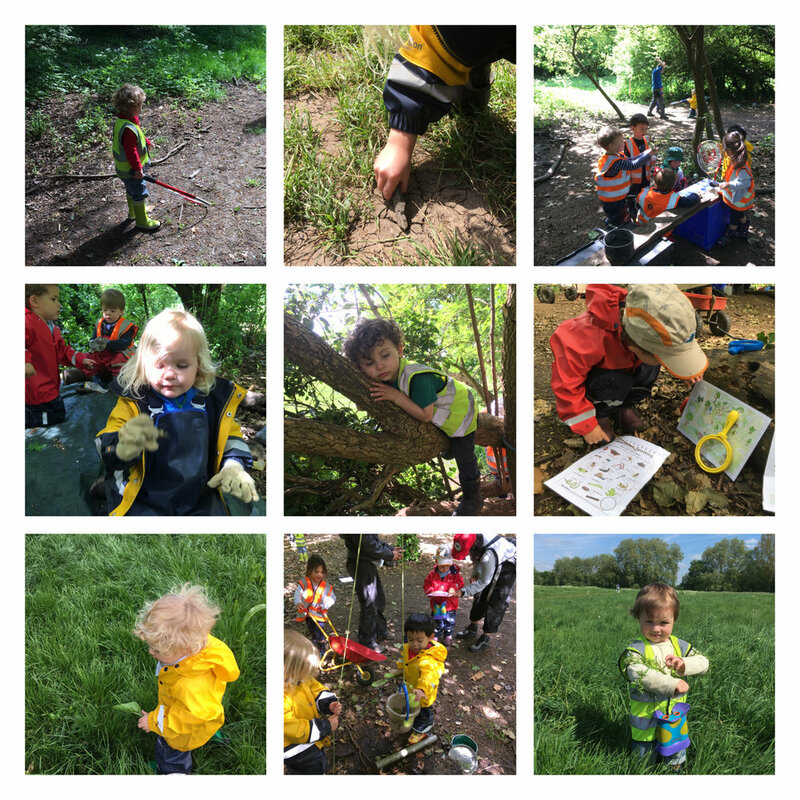 The children were taught how to safely use the tool with one to one supervision from the forest educators. Firstly, the children sat down in the designated activity area to go through our safety procedures. We then demonstrated and showed the children how we safely used the tool, how to cut the wood and showed them what the end product would look like. They then took it in turns, supervised and wearing safety gloves, to use the hacksaw. For this activity, we used Elder wood, which has a foamy pith centre that the children can poke out, which then creates Elder beads for further threading activities. We will continue to use the hacksaw with the children to familiarise them with how to safely approach tool use and then gradually introduce other tools for them to explore! The children have also been very busy constructing this week. We have had parks, ice cream shops and pulleys to help transport building resources! The children have initiated some very exciting activities this week and encouraged their friends to join in. 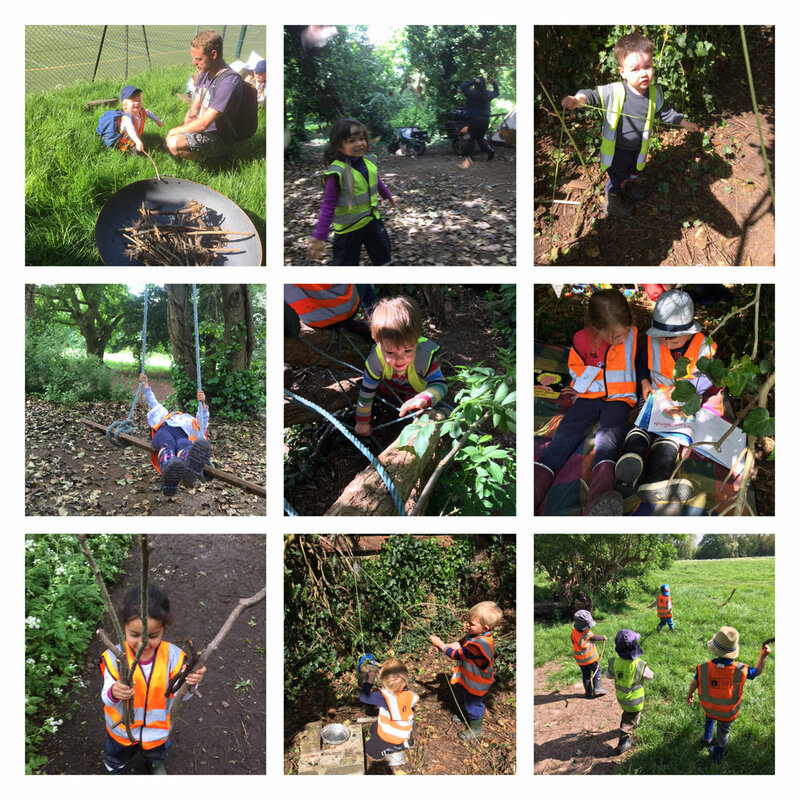 On Wednesday, the children built an ant-sized “Richmond Park” with sticks as the trees, leaves as the fields and minibeasts as the visitors and wildlife! The ice cream shop was constructed on Thursday morning and became the base for imaginative play that continued throughout the day. The children took it in turns to make the ice cream, decorate the shop with their products and then sell them to their friends. The children have also been very interested in the pulleys that we have reintroduced lately. They worked together filling the buckets and then lifting the buckets to the tree tops. The children enjoyed watching the bucket then fall back down to the ground, encouraging them to repeat the process! We have had another fantastic week in the forest with some glorious weather and long may it continue!